We have all seen them: photographs or paintings that change depending on the angle or distance of the viewer. What appears to be a portrait from far away looks like thousands of smaller snapshots from close up, transforming your understanding of what you are seeing. This same phenomenon happens when large-scale data sets are used to study people. One picture emerges when the population is examined as a whole, another when the data set is examined more closely. This is particularly true for Hispanics, who are one of the most diverse racial/ethnic groups in the U.S., and also one of the most disadvantaged. While there is value in studying Hispanics as a whole, paying attention to the diversity within the Hispanic population—across a wide range of characteristics—provides a more complete picture and can help target programs and policies designed to support low-income Hispanics more effectively and efficiently. In a new brief from the National Research Center on Hispanic Children & Families (Center), Improving Data Infrastructure to Recognize Hispanic Diversity in the United States, 34 large-scale data sets commonly used to examine topics critical to the well-being of children and their families were analyzed to identify which ones include these recommended data elements—including Hispanic ancestry/heritage subgroup, country of birth, English language proficiency, among others. Below, we discuss the implications of including these measures for our understanding of Latinos in the U.S. across a range of critical domains: economic, family, and early care and education. Hispanics in the U.S., particularly children, face disproportionately high levels of poverty. An estimated 33 percent of Hispanic children live in poverty, compared with 14 percent of non-Hispanic white children. Another third lives in near poverty. Poverty, however, varies markedly among Hispanics by nativity status. Whereas an estimated 32 percent of U.S.-born Hispanic children live in poverty, 39 percent of foreign-born Hispanic children do. Similarly, national poverty rates among Hispanic children ranged from a low of 18 percent for children of South American descent to a high of 35 percent for children of Dominican descent. A similar story emerges when we look at income or employment. According to Pew’s analysis of the 2013 American Community Survey (ACS), the median income of Hispanic households is $41,000, compared with $57,200 for non-Hispanic white households. However, income is substantially lower for foreign-born Hispanic households than for U.S.-born Hispanic households ($38,000 vs. $45,000). Despite this difference, foreign-born Hispanics are less likely to be unemployed (8 percent) than are U.S.-born Hispanics (12 percent). Change the angle – your understanding of Hispanics’ economic position might change too. Family patterns vary among Hispanic men as well—this is particularly the case when looking at a phenomenon that has received much attention among low-income families, multiple partner fertility. While only 11 percent of foreign-born Hispanic men (with two or more children) have fathered children with more than one woman, the rate climbs to 31 percent for U.S.-born Hispanic men. Furthermore, among low-income children, Hispanic children with at least one foreign-born parent are more likely to live with their biological father than any other racial/ethnic group. Focus the lens – see the diversity of Hispanic family formation. Fewer Hispanic children attend early care and education (ECE) programs than their non-Hispanic white or black peers; in 2012, 52 percent of Hispanic children attended ECE programs, compared with 63 percent of non-Hispanic white and 68 percent of non-Hispanic black children. Participation in ECE, however, varies by home language. According to the National Institute for Early Education Research (NIEER), children whose primary language is Spanish are much less likely to attend any kind of preschool than are children whose primary language is English. Moreover, Head Start is a critical early care and education programs, and roughly one in three children enrolled in the Head Start programs are Hispanic. Participation in Head Start, however, varies based on the immigration and work status of children’s parents. Young children of migrant and seasonal workers are disproportionately underserved by Head Start programs. Set the scene –through a clearer understanding of ECE access, set up Hispanic children’s future success. 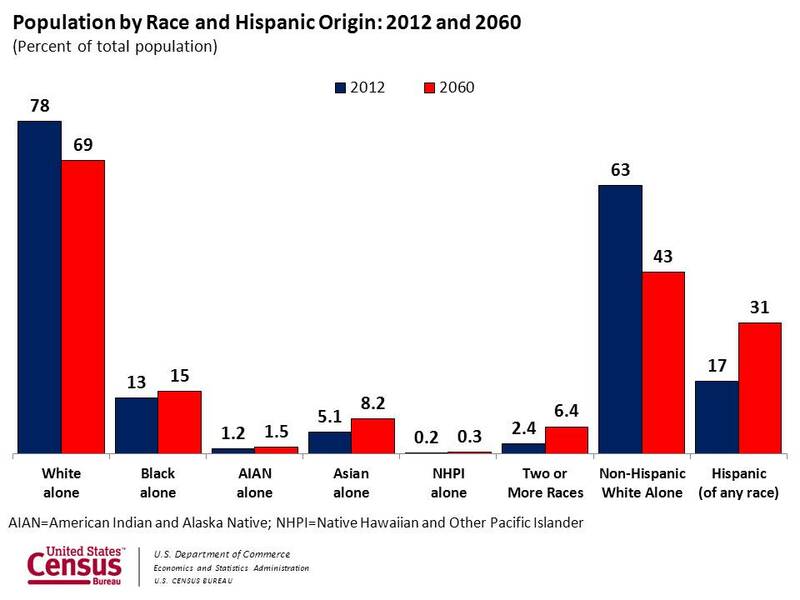 Hispanics are currently the largest racial/ethnic minority group in the U.S., making up 17 percent of the population and 25 percent of all children. How they fare as a group will be critical to the social and economic well-being of the U.S. as a whole. To better understand and promote the well-being of Hispanic children and families, however, we need the most accurate data possible. A critical way to do this is to ask more and better questions in national surveys that meaningfully capture the diversity of this large population. As our brief shows, many large-scale surveys do an admirable job of measuring some of the most critical dimensions of diversity, including nativity and Hispanic heritage/subgroup. Other dimensions, however, are much less examined. Strategic and coordinated investments in our data infrastructure will increase our understanding of diversity in the Hispanic population in ways that will facilitate social services, potentially preventing misspent funds on populations with different needs. Through a diverse set of pictures, the big picture can emerge. The National Research Center on Hispanic Children & Families uses the terms “Hispanic” and “Latino/a” interchangeably. The ten elements are: 1) Hispanic ancestry/heritage subgroup; 2) Country of Birth (adult or child who is the focus of the survey); 3) Country of Birth (parent of focal person); 4) U.S. citizenship; 5) Time in U.S.; 6) Language(s) spoken at home; 7) English speaking proficiency; 8) Literacy in any language; 9) Highest educational level outside of the U.S.; and 10) Legal residency.